Anderson, Dewhirst and Ling (2006) offer the following example of the semiotic analysis of a printed cigarette advertisement, referring to the figure above. that such an athlete is unlikely to be a smoker or a smoker is unlikely able to competently pursue such an activity. 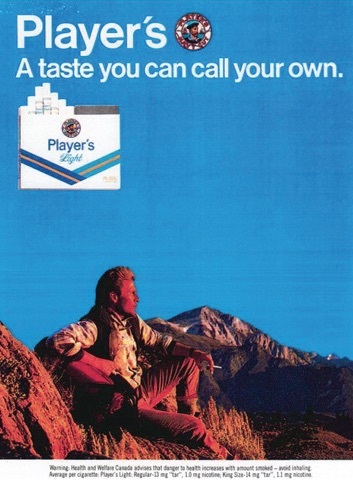 Branding refers to the use of a name and logo to identify a product,38 67 68 and in this case, the Player's brand name conveys tradition by paying homage to John Player, a main founder of Imperial Tobacco, and the sailor logo, complemented by ''Player's Navy Cut'', embodies masculinity, independence, and freedom. Finally, the advertisement is pictorial (the sky encompasses the most text space), with the ad copy limited to the tagline statement and a ''branding'' orientation.